I’ve got a family history of a heart attack. My father died at 52, How do I ensure it won’t happen to me? It is very unfortunate that your father died at the age of 52. Sadly, not uncommonly, the first manifestation of heart disease is a fatal heart attack. The cause of the heart attack is in nearly every case a build-up of fatty material called plaque, which cracks or bursts like a small pimple and this results in a blood clot or ‘thrombus’ forming which occludes the coronary artery. The heart muscle is immediately injured and if the situation is not rectified the heart muscle dies. This triggers a potentially dangerous rhythm called ventricular fibrillation, which is fatal if not treated immediately. 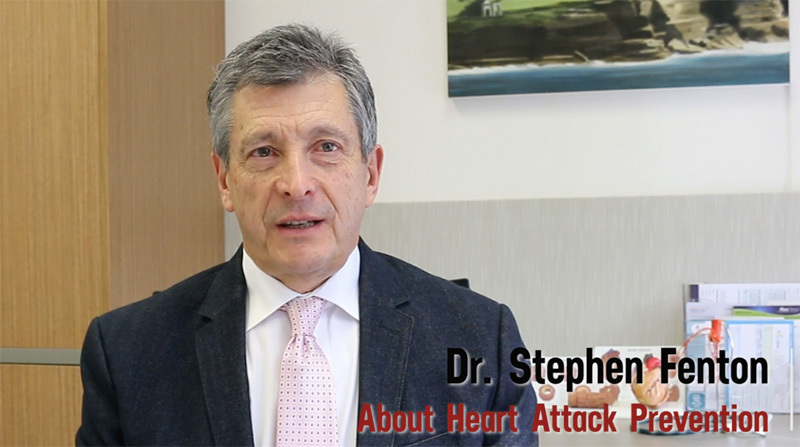 If you have a family history of heart attack, the best thing is to have a check with a preventative cardiologist for early detection of plaque or “atherosclerosis”. This is a very simple matter to organise with non-invasive painless testing. My cholesterol is high. My GP said it was 6.6 and he wants to start me on statin. I am concerned because I’ve heard about side effects. How do I know if I really need it? High cholesterol levels, particularly a high LDL (bad cholesterol) are definitely risk factors for the possibility of an underlying vascular disease in general and coronary artery disease specifically. LDL can be thought of as a vascular toxin. Lowering your LDL cholesterol level is important and can be achieved by lifestyle measures, including an optimal diet, regular exercise and other important things such as achieving a work /life balance and reducing stress. Whether somebody requires a statin or not, is a very individual matter and is best managed by assessing an individual’s risk including plaque testing. If your doctor is considering giving you a statin but is not certain about whether you need it or if you started on statin and are experiencing side effects, then referral to a preventative cardiologist is recommended.